The ACA is committed to making the world a better place to paddle. 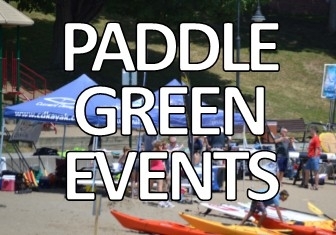 As our planet faces increasing environmental issues due to development and misuse of natural resources, the ACA is promoting positive environmental stewardship within the paddling community. This has become one of the ACA’s top priorities. Your support is vital to create healthy paddling environments and a cleaner planet for everyone by addressing one of the greatest threats to our waters: marine debris. Of the estimated 6.14 million tons of debris that enter marine environments each year, 80% of it is land based trash that enters from freshwater rivers and streams. 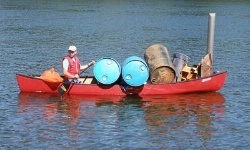 Who better to help prevent the accumulation of marine debris than paddlers? The ACA has been implementing an on-going Stream to Sea Initiative that will equip users with the knowledge and tools necessary to clean navigable waterways and paddling environments while recreating. Utilizing the paddling community, one that already has a vested interest in the health of the nation’s waters, is an effective way to help remediate the growing amounts of debris that affect marine environments. Employing paddlers, a virtually untapped resource, in freshwater streams and rivers provides a sustainable network of stewards dedicated to reducing debris accumulation before it reaches coastal environments. Click on the photos to learn more about our Sea to Stream Initiative! If you want to volunteer with ACA's Stream to Sea Initiative, Click Here! 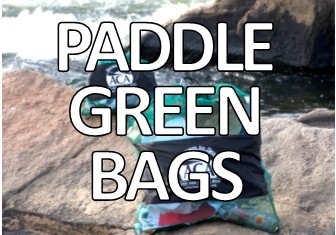 Become part of the solution and paddle sustainably with the ACA! © Macdonald Productions, used with permission from Bill Macdonald. 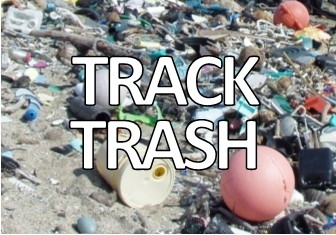 Many thanks for working to document and inform others about the threats of marine debris. Learn more about Marine Debris.